THIS SEAT IS NOT SAFE AND DISCONTINUED – IF YOU SEE IT, DO NOT BUY IT! That’s right! This car seat is still floating around selling sites such as eBay, Gumtree and local Facebook selling pages! There has been a NEW RECALL – CLICK HERE! This car seat, Babystart Multi-Recline (£39.99 from Argos, independent child car seat retailers and online) has been recalled and discontinued after it FAILED Which?UK crash testing. Everything about Which? aside (We don’t get along on the best of days…) I can wholeheartedly say that they here have done the correct thing in this case. The Babystart Multi-Recline was sold as a Group 0/1 car seat in Argos. It is rear facing to 10 kg and then turned forward facing up to 18 kg. This car seat is ECE R44/04 approved, which is what all car seats that are sold need to be for them to be legal. When the Babystart Multi-Recline 0/1 car seat was tested by Which? it was tested up to ADAC standard, which is a bit heavier on the seats than the normal ECE R44/04. 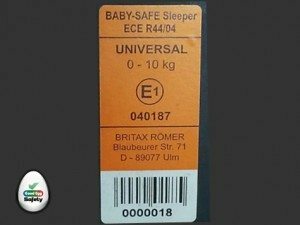 This child car seat has passed the official regulatory tests required by ECE R44/04 to be sold as suitable for children from birth up to 18kg. But it scored our lowest test score of 0% overall in our more demanding, independent crash tests, which are conducted at higher speeds and forces than the current UK standards require. We’ve made this seat a Don’t Buy because the shoulder parts of the harness were ripped out of the plastic seat shell as it broke under the force of the crash tests. If this were to happen in a real-life crash, a child would collide with the seat in front, with just the lap part of the belt keeping them attached to the car seat. As a parent, there is nothing more terrifying than to picture something like this happening to any of my children, or my friends’ children, or any children for that matter. It’s absolutely terrifying. Look at the picture! The dummy is flung OUT of the car seat! That’s the STRAPS YOU SEE, flying around behind it! If you own this seat, know someone who owns this seat, or see this seat for sale PLEASE link up to this post and help spread awareness. Someone might be sitting with a death trap in their car and not even be aware. We believe our child car seat crash tests are more representative of real life crash situations and that choosing a Which? Best Buy child car seat will give your child the best crash protection money can buy. Our front crash test is carried out at a higher speed than ECE R44 – about 40mph instead of 30mph. We include a side impact crash test, which ECE R44 does not require. We test child car seats in a real car body, not on a sledge with a car bench seat fixed to it, so the position of the seat belt anchorage points and car seat characteristics are more realistic. We test child car seats in front and side impact crash simulations. Both tests are developed from Euro NCAP crash test loads, which are based on typical real-life crashes. 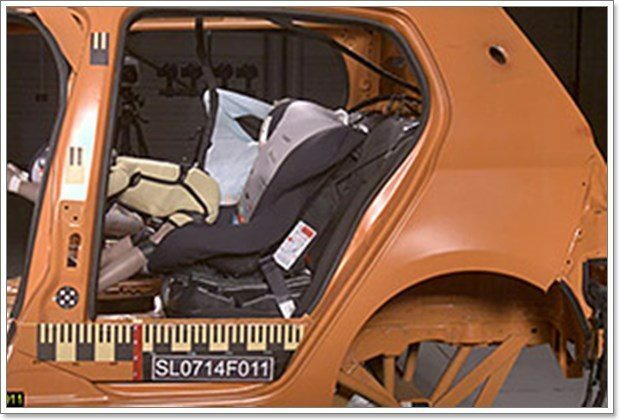 Any child car seat marked as approved to ECE R44/04 is better than no car seat at all and will provide some protection in a crash, but our results indicate that a child using the Babystart Multi-Recline car seat in Group 1 mode, reclined, would be at risk of serious injury in the crashes we simulated. PLEASE HELP SHARE THIS INFORMATION!